Rigatoni! 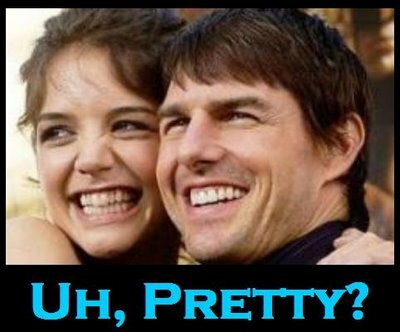 Tom Cruise and Katie Holmes will be getting “married” on the weekend of November 18th in Italy. Entering into this legally binding contract, that I believe you are forced to sign when in a ‘relationship’ with Tom Cruise, will take place between Nov 16th – Nov 19th for “wedding events.” Seriously, if I got a secret invitation that just told me to be ready for events between a few days I’d be like F off. Actually who am I kidding? I’d totally book out a full week. Wedding attire will be made by Giorgio Armani. No word yet if Suri will be put in a red wagon and pulled down the aisle. Nah, they’ll probably just leave her at home with Tom’s other kids.